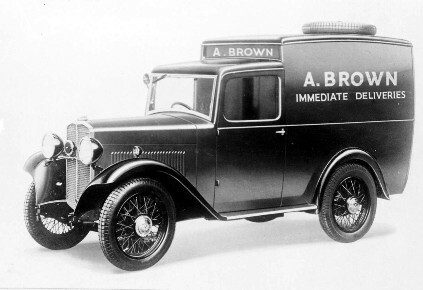 Commercial Vehicles – 1923 to 1940. Until many Triumphs were added to the Club’s Register via local authority registration archives we assumed that Triumph occasionally tested the market with their proposed commercial vehicles, but we have now recorded just under 90. These are made up of 5 Fifteens, 54 Super Seven/Eights and 29 Super Nines. The only surviving van built by Triumph is a 1933 Super Nine 8 cwt. During the war and just after some Triumph Saloons were privately rebodied as commercial vehicles.